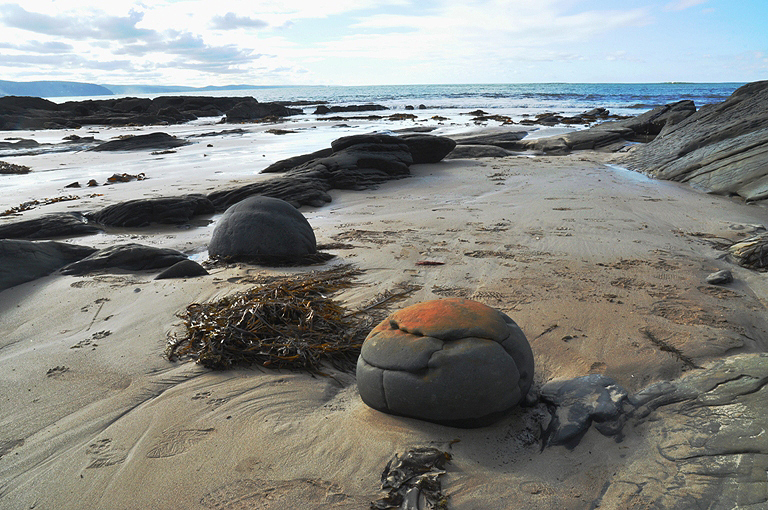 This sky showed up on a late afternoon / early evening walk on the beach at Lorne. For a while I thought a beam of light might pop out of the light patch in the middle of the cloud, but it was not to be. As it happens I think like this image just like it is. I wonder how many tones of blue there are in this picture. 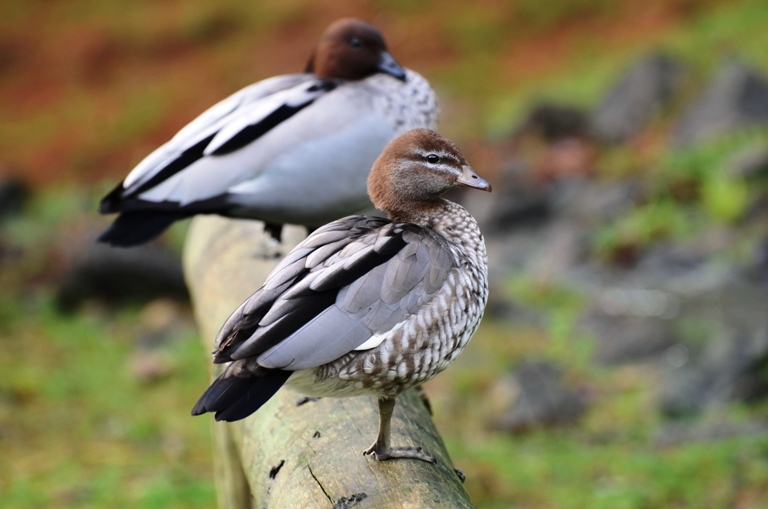 These are Australian Wood Ducks. They seemed very at home in the wet and flooded roadsides around the house we stayed in a few weeks ago at Lorne. They were a little less accommodating than the “Balcony Birds” of previous posts, and made up for their photogenic nature being leaving an unbelievable amount of bird poo everywhere! My kids seem to find this funny! 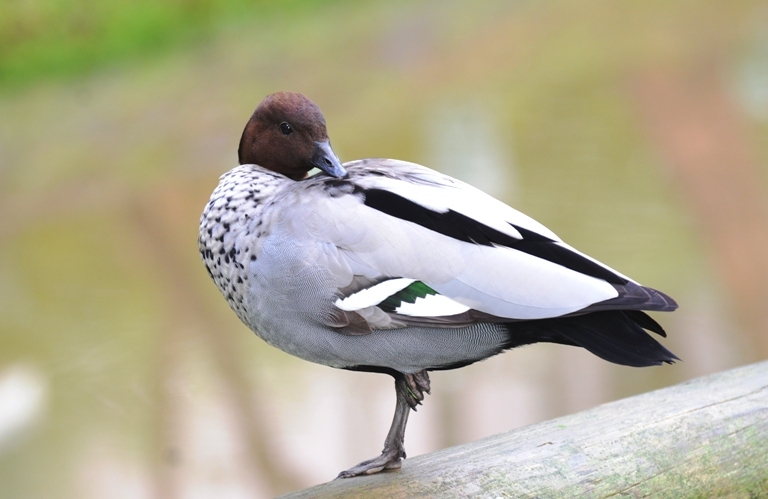 This bird goes by the scientific name of Chenonetta jubata , but there is a deal of controversy about what other ducks its related to. It could be a dabbling duck, but then again it could be a shellduck – what it unquestionably is, is good looking! You can find more birds at the equally good looking World Bird Wednesday. 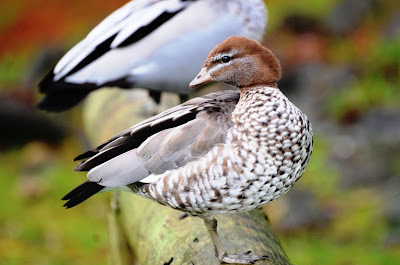 You can find the post on my other blog that feature these ducks here. This is the Basilica of St Gregory the Great at Downside, although I have only ever called it just “Downside”. It’s a Catholic abbey, monastery and school that sits in the “no man’s land” between Chilcompton and Stratton on the Fosse, back in Somerset, near to where I was born. This picture was taken on a frosty morning, and somehow the light seems to add a kind of painterly feel to the image. I have to say that I was disappointed that there was a car parked outside the buildings, as otherwise the image would have had a more “timeless” feel. Oh well. 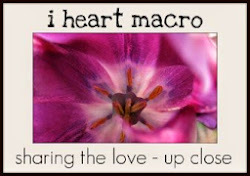 Macro Monday - A pet hate! 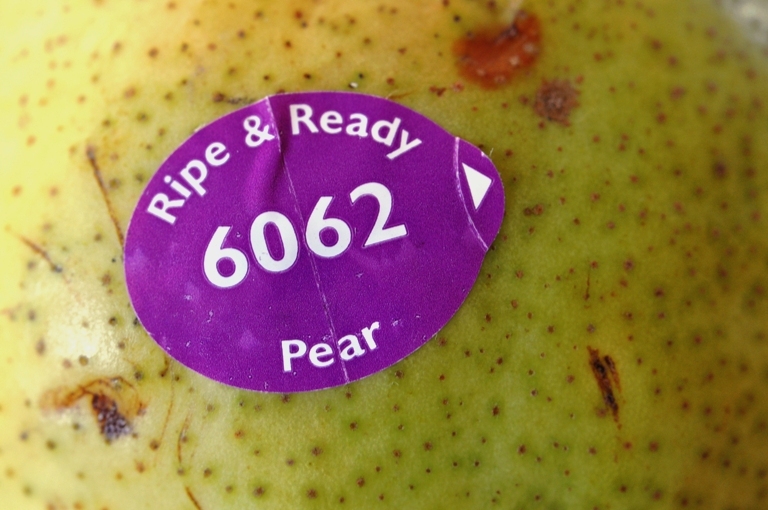 I know why we have these annoying little plastic labels on fruit but the really annoy me! In the mornings, with fingers still clumsy from sleep, the last thing I need to do is remove plastic labels from the fruit that ends up in my daughter’s porridge! 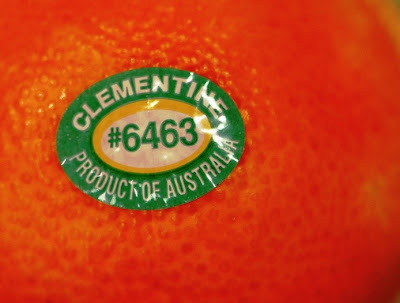 We had a school fund raiser on Saturday and I did not get to bed until it was well into Sunday – it would make out life easier if we just got a decent level of funding for our school and then I would not have to stay up half the night and then post grumpy posts about fruit labels the next day! 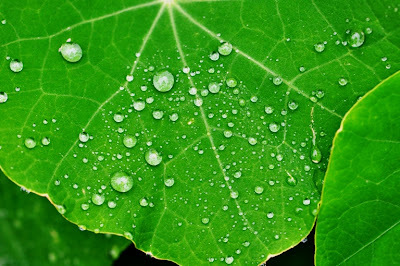 You can find more macro shots, presumably taken by people who have had their full ration of sleep, here at Macro Monday. 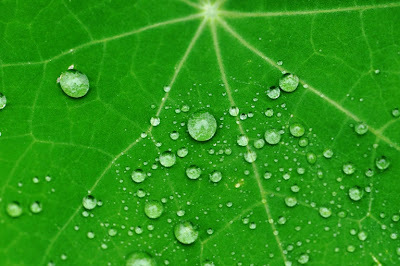 You can find the latest post to my other blog by clicking on the Paying Ready Attention image on the RHS of the pages. 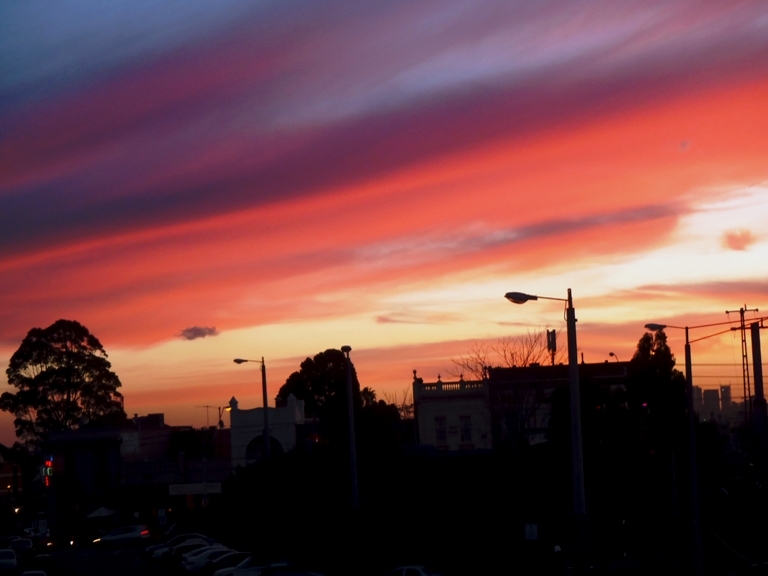 I was walking home from work on Tuesday when I found this sky just outside the office door. I only had my compact with me – it lives in my bag, but it does not get a huge amount of use. One of the problems with its under use is that I had to spend about 5 minutes working out how to turn off the “underwater” settings! (I’d last used while snorkelling!) After a bit of inspired guess work I worked it out! So these shots are taken from the rail bridge in Camberwell. Dozens of people walked past me as I was taking the picture – and as far as I know most of them did not seem to notice the sky. The one person who spoke to me worked in the local book shop – which is a reasonable predictor of being a decent human being if you ask me! Somehow this post has strayed away from skies and entered the realms of psychological profiling – I think it’s time to call it a day and post the post! Its been a busy week here, so I thought I’d go with a simple crowd pleaser. 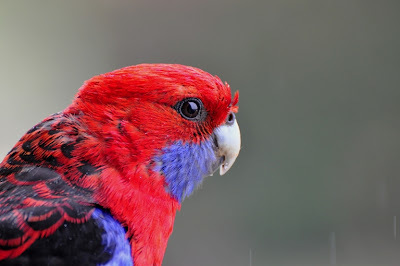 This is a male Crimson Rosella. 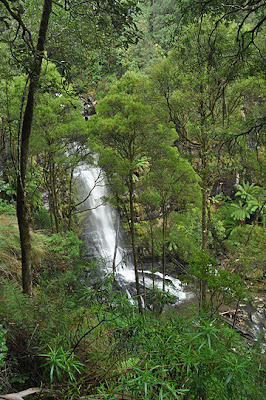 I took the picture when I visited O’Reillys Rainforest Lodge in the Lamington National Park in Queensland. As with the last bird post, I think this hansom chap was used to having people around. You can find more images of birds from around the world at World Bird Wednesday. You can find the latest post to my other blog by clicking on the Paying Ready Attention image on the RHS of the page. You can find my post from O’Reillys here. 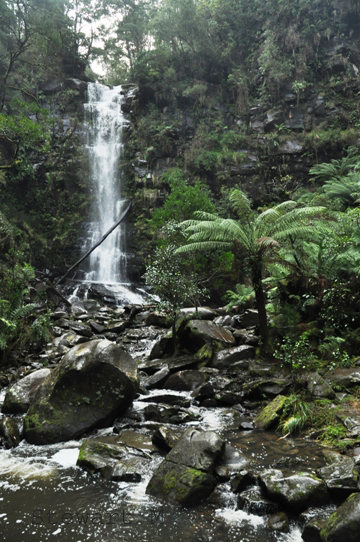 Inland from Lorne are the cool, temperate forests of the Otways. These may not be tropical, but they are still rain forests – and just to prove it, there was plenty of rain in the weeks leading up to our visit and just a little bit more on the day. 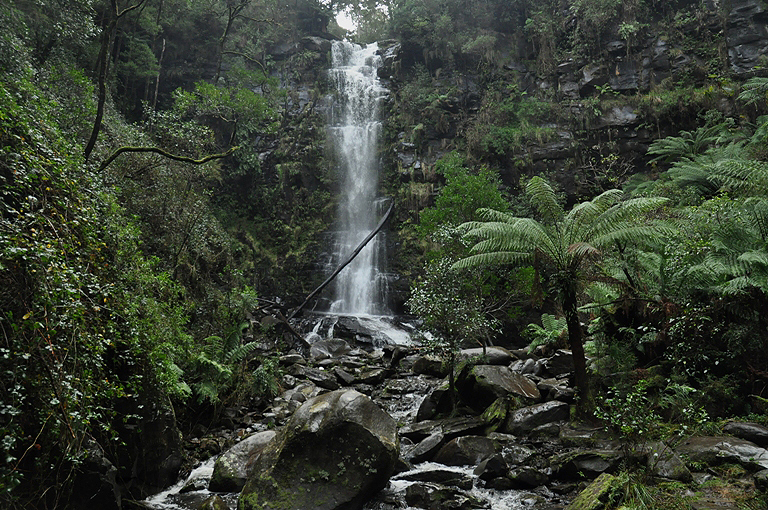 Because of the rain and the geology this part of the world has a few waterfalls. One of the most popular is Erskine Falls. Not only is it one of the taller falls in the area, it can also be reached on foot with ease. The whole place gave of a feeling of damp growth and although its winter you could really tell the place was growing. 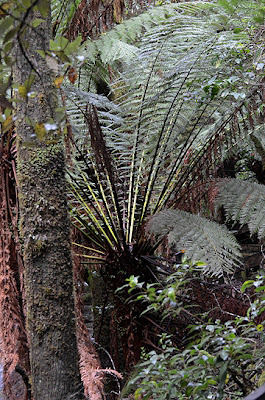 For about 30 seconds a beam of weak sun light struck a tree fern – although the quickly grabbed shot does not do it justice. I like the damp, cool, dripping feel of these pictures, largely because it was that kind of place! 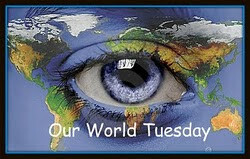 You can find more shots from around the world at Our Word Tuesday. This is a rather old picture, but it’s been a busy week! This was taken on a frosty morning in the UK. The overnight temperature had dipped down towards zero and I decided to take a brisk walk. As I now only see one or two frosts a year I looked forward to a walk in the cold. I did take a few pictures, but most of all I just enjoyed the cold. 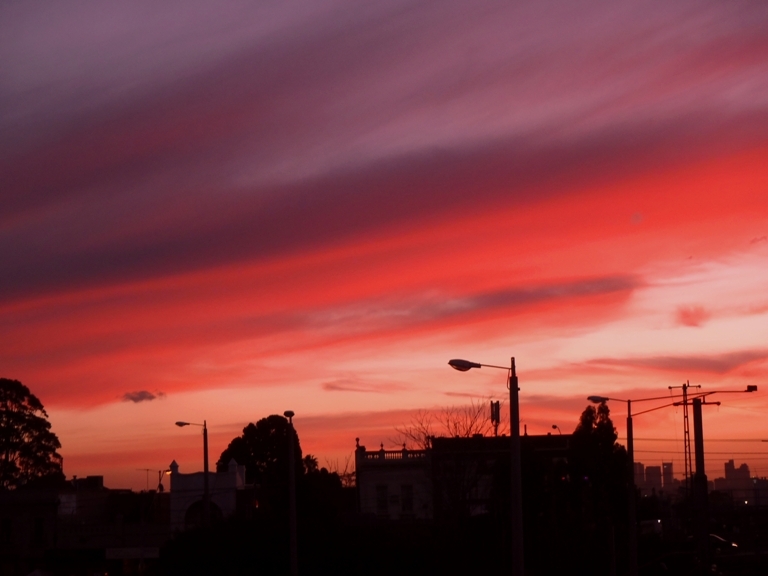 Even the least impressive sorts of skies can yield up worthwhile pictures if you give them the time. We were on the pier at Lorne as the sun set, and for once there were no fireworks to speak of. But in the last few minutes for the day the cloud over the hills thinned and there was a burst of colour in front of us. The clouds behind the pier also picked up some of the last evening light. Sometime you just need a quiet walk rather than a full day one, and sometimes you need a subtle sky rather than pyrotechnics. 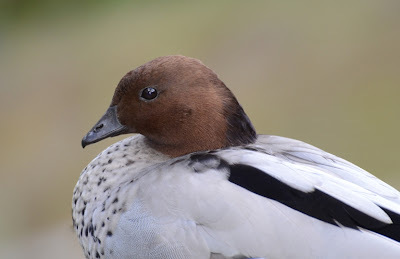 You can find the latest post to my other blog (which is more autobiographical than normal) here or by clicking on the Paying Ready Attention image on the RHS of the sky. 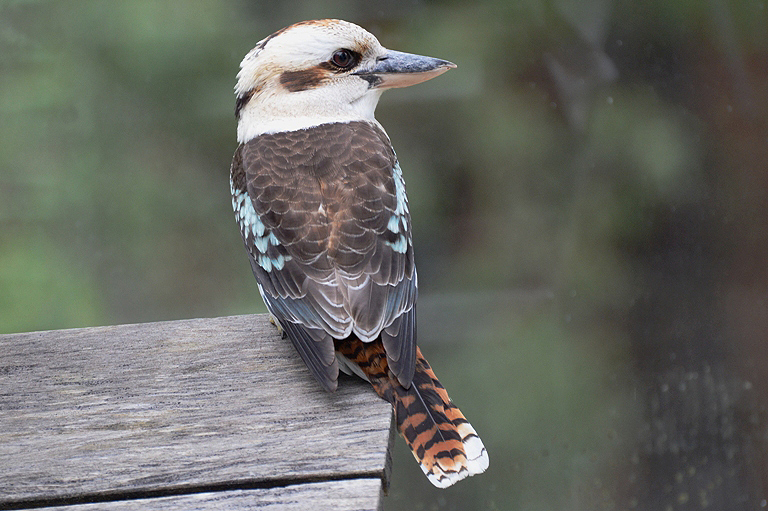 When we arrived at our accommodation in Lorne we were greeted by a chorus of raucous laughter from the local Kookaburras. They were not really laughing at us, but it’s a nice think to tell the kids. After we had settled in, we read the information left by the owner. It was plain that they did not want us to feed the birds. This is understandable, as cockatoos can cause havoc on the parts of your house not made of reinforced concrete. However, it soon became clear that while we were content to ne good law abiding citizens, the birds would still try to persuade us be otherwise. A small group of King Parrots landed first. The strong backlight from the low sun was not idea – and the solid red of the male was difficult to capture. 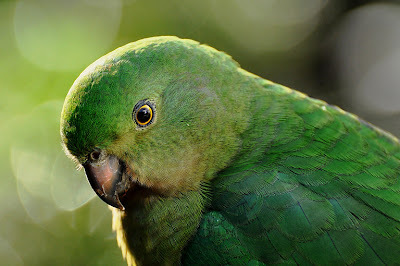 The greens of the females and young males were easier to handle. 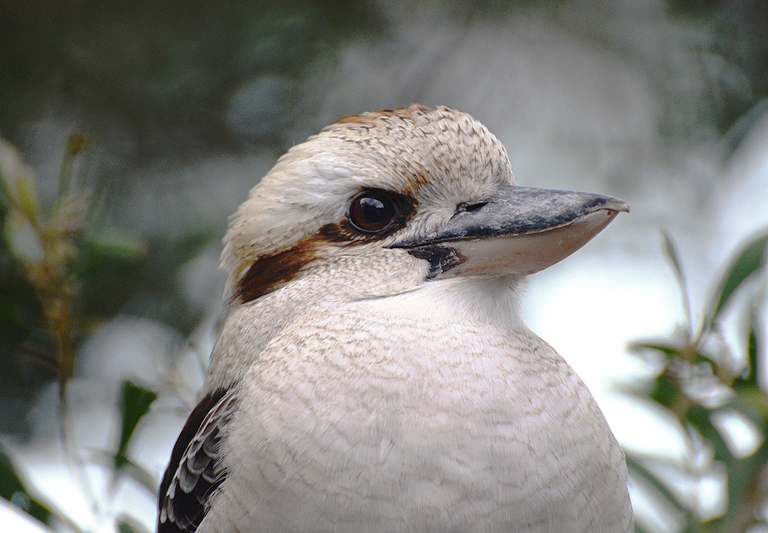 Once the parrots had departed we were joined by the iconic Laughing Kookaburra – the world’s largest kingfisher. One even tried to fly through the window, but failed. It gave itself a good shake and then flew back to a close by tree. 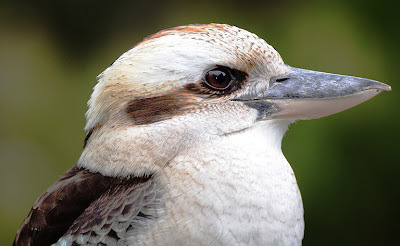 Given that some of these images are taken with a 105mm lens and have not been cropped in any significant fashion, I don’t think these birds are truly wild. Free, yes. Wild? Maybe not. 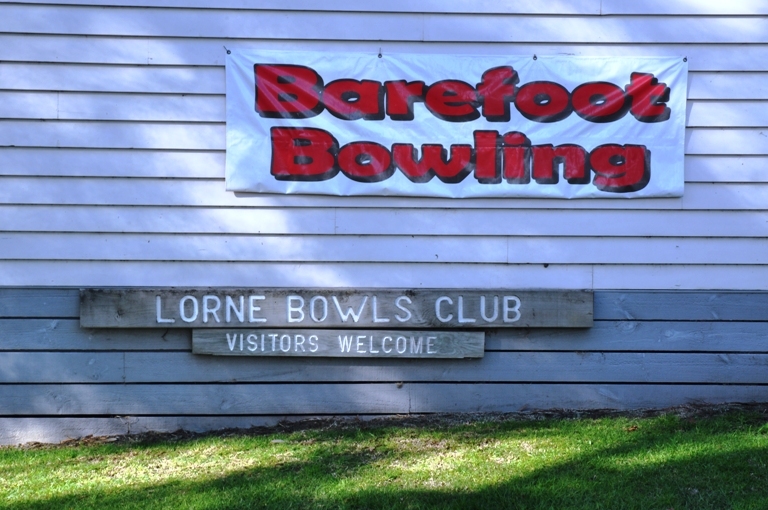 Lorne is a coastal town about 2 ½ hours west of Melbourne – it can be reached by driving along The Great Ocean Road. This is a wonderful, if rather car sickness educing, road that was build in the 1930’s to provide work during the great depression. I think its purpose was to provide work for people, rather than “stimulus” for the economy, which leads me to believe that at least somebody in government at that time still understood that people lie at the heart of any country, rather than banks or interest rates. (Although I have the privilege of being able to say that from a rather more secure position than some, so I may be being over critical). Now, before some people log off, suspecting they have stumbled across the blog of some flag waving revolutionary I need to get back to Lorne! 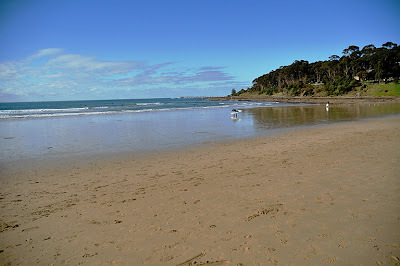 Lorne lies in the centre of a bay, with a long sandy beach with consistent surf, flanked by two rocky arms. Its prime holiday real estate, which means it’s crowded as all hell in the summer. Winter is much better, but you can feel the schizophrenia of place that has a very high and a very low season in the year. This weekend was a public holiday, so for once the place was somewhere between being overcrowded and being deserted. We walked on the beach, explored the rocks, eat unseasonal ice cream, sea fresh fish and chips and in the forest behind the coast we watched platypus swim and dive with a silver wake. 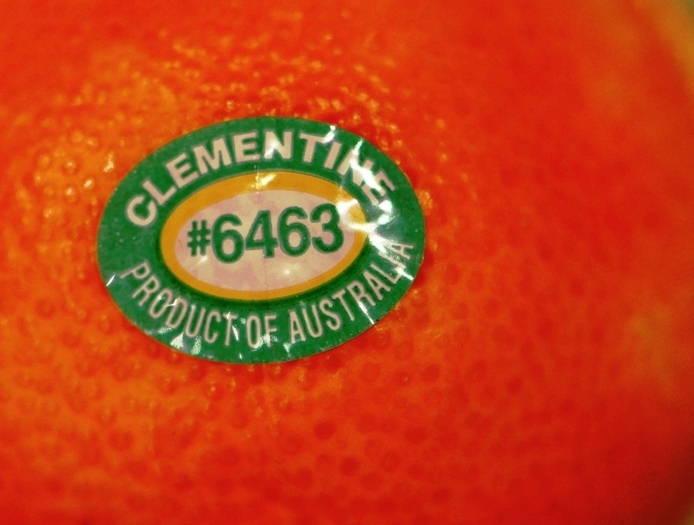 On a different note there is also something that looks like one of the world’s great spelling mistakes – but its not! You can find the latest post on other blog by clicking the Paying Ready Attention image on the RHS of the page. Water drops on leaves make a fairly irresistible combination. The flat and the spherical next to each other at the same time. In this case the leaves are nasturtiums (I think!) 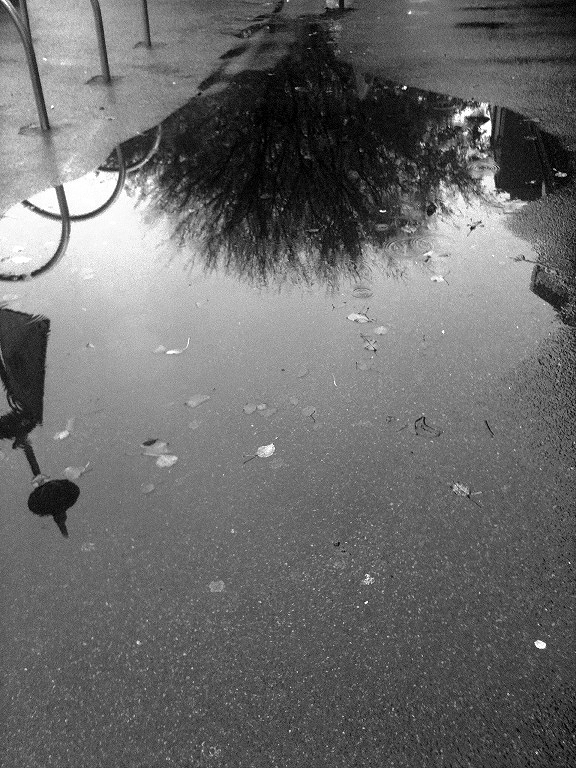 and the water is morning rain. 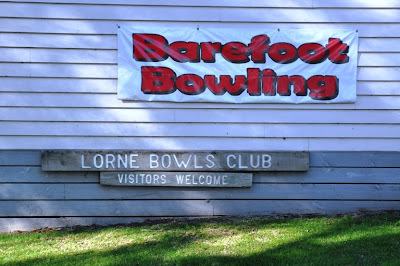 The only disadvantage of these pictures was that I found the leaves in a small garden bed in the main street of Lorne. So, there was a mad man with a camera, on his knees, sticking his head into a plant, as coffee drinking long weekenders walk past. When I stood up I notice that there was a distinct empty space around me! Ah well! You can see more macro shots from around the world at MarcoMonday. You can find the latest post on my other blog by clicking the Paying Ready Attention image on the RHS of the screen. After a couple of hours attempting to wrestle an unwilling spreadsheet into submission, I admitted defeat and decided to take a quick walk around the block to clear my head. On the off chance that I would be ambushed by a coffee I decided to take my wallet with me. My wallet lives in my bag, so the camera the lives in the bag came along as well. I thought that the sky was just an unremarkable kind of cloudy grey, but once I started to notice how it was being reflected in the windows of the office building across the road I changed my mind. I think a combination of the light being reflected and the tinting on the windows took an ordinary sky and made it rather special. The first time you see one you cannot help but be struck how big Emus are. The largest females stand almost 2 m tall. They are flightless but can run really, really quickly. There used to be sub-species of these birds on many of the larger Australian Islands – but they have gone the way of the Dodo. 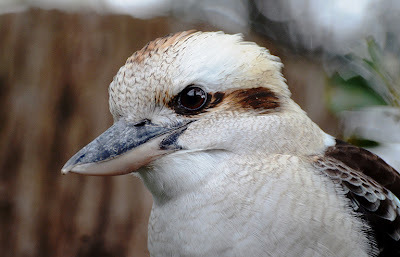 The photographs of the single birds were taken in the Grampians National Park, the group shot at Wilsons Prom and the close up at Healsville Sanctuary. 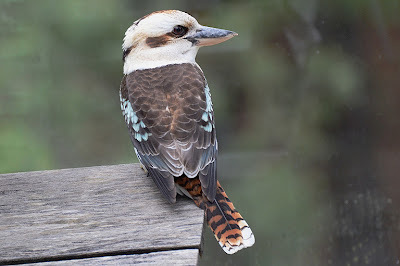 One of the things that interest me about these birds is the window they give into the past. It was not all that long ago that huge birds like this were common in New Zealand – the Moa. When you see the substantial “drum sticks” on Emus you can understand why people ate the Moa into extinction. But when you see a flock of Emus charging through the landscape you can help but wonder what a landscape dominated by similar birds would be like. 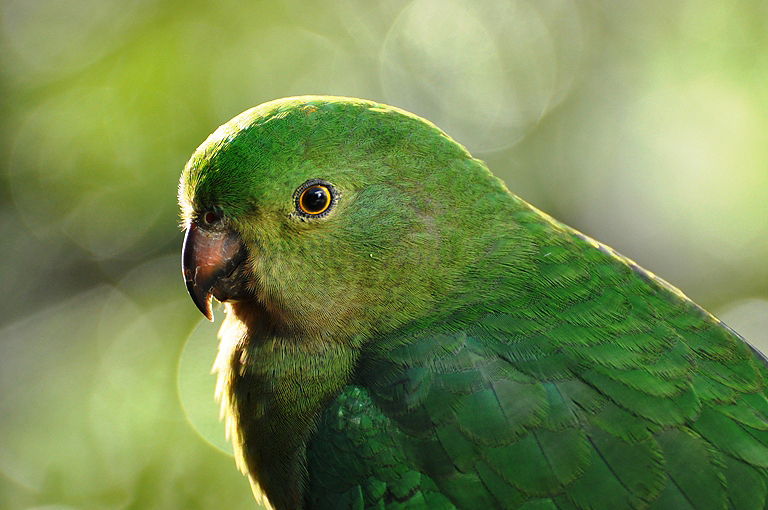 You can find more birds at the eminently sensibly named World Bird Wednesday. I had planned to walk home from work tonight and maybe get some nice evening shots – yellow lights and warm images, that sort of thing. But the weather is foul! I can’t pretend it’s even vaguely autumnal – today it’s winter. This was a quick grab shot with my phone. For all that it was raining less when I took this shot it was still rather grim outside! However, I noticed that the puddle seemed to be making a tree shape. And the tree shape was reflecting a tree! Under the circumstances I am not going to complain about this image! You can find more images from around the world – and probably better weather – at Our World Tuesday. 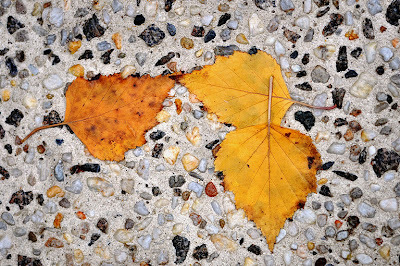 Macro Monday - Fallen Leaves. 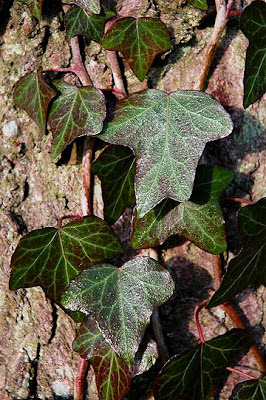 The damp of autumn can bring many pleasures – and one of them is the sheen of colour the coats things on damp afternoons. I was about to sweep the leaves from the paths around the house when I noticed that the colours of the stones in the concrete made a nice counterpoint to the silver birch leaves. Never needed much of an excuse to put down the garden tools I did and picked up my camera instead!